As an Investor, entrepreneur, and Broker of Record, Michael J Preston is proud to be following in the footsteps of his father John who was a local builder & Real Estate Broker in Orillia area for 50 + years. If you wish to deal with a Realtor who invests in Business & Real Estate, then call today & let’s talk. Michael can give you insight as an owner of several multi-family residential and commercial buildings with locations in Orillia, Ontario & Alberta, the owner of a successful local career college, and property manager for customers throughout North America. Michael has been the operator of several successful small businesses over 30 plus years. Mr. Preston has 2 decades in organized Real estate, and almost as much as Broker of Record at Lakeview Realty Inc. 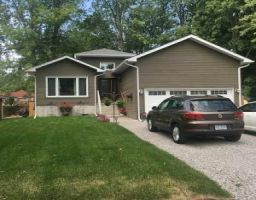 Brokerage in Orillia. He is also a licensed Mortgage Broker. Serving Orillia, Severn, Ramara, Gravenhurst, Oro-Medonte, Barrie and area.